Everyone loves a bargain. But actually there’s something they love more. It’s the most powerful word in marketing. And it’s used all over the place in marketing copy. A powerful way of presenting your prices to customers is through menu pricing using a tick list of options that shows customers what they do and don’t get. It’s visual, powerful and it works. And most of the time that technique means a series of ticks and crosses. But sometimes you can add in something different. You can add in the word free. It’s even more powerful than a tick. As I’ve already said people love getting something for free. They love getting something more than they expected. It stands out. Of course, it could be tempting to go overboard. To use it everywhere. But don’t. People like getting a bonus. Something extra. But use the word free everywhere and suddenly its value diminishes. Suddenly people don’t value what they get for free. So use it where it will work best. But most importantly use it sparingly. 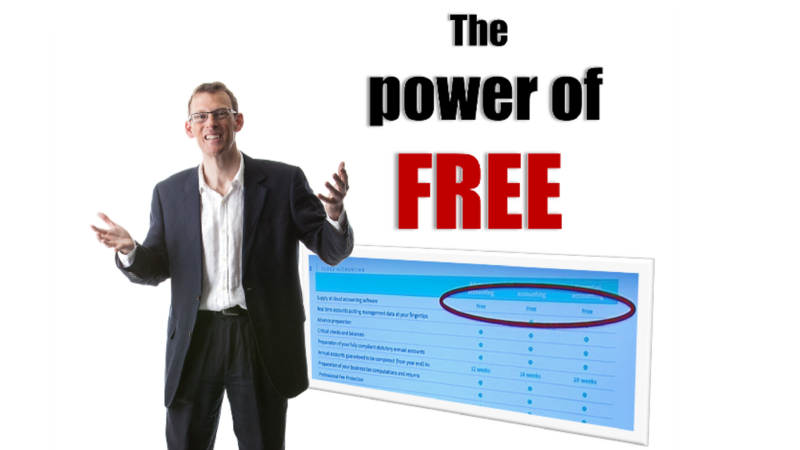 Find out more about how to harness the power of free by watching my video here.